benefits of regular 6 monthly wellness checks. 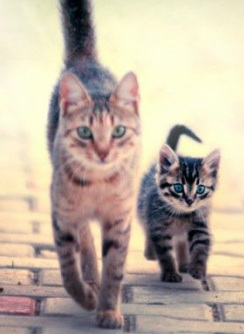 I know that responsible cat ownership is not cheap, but taking a proactive approach to you cat's health ensures any issues can be addressed before they advance, resulting in reduced risk to your cat's well being and less expense for you. 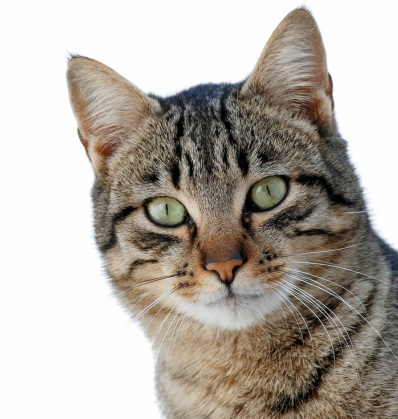 Why are routine health checks vital in all stages of a cat's life? Cats are masters of disguise, hiding signs of illness so well that a disease can become quite serious before it is noticed. Please don't let your cat suffer in silence! Spot early signs of disease! A wellness checkup is the closest your cat will get to communicating its health needs to you. It's also a great opportunity to check those seemingly minor things that have been on your mind since your cat's annual checkup that you didn't think warranted a visit on their own like weight gain or simply that their claws could do with a trim. 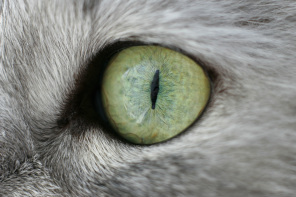 pick up clues about your cat's health. As humans, we are constantly carrying out preventative health checks on ourselves with very little thought... choosing to eat a healthy diet, drinking plenty of water, avoiding excessive alcohol consumption, brushing our teeth, watching our cholesterol etc. We are subconsciously aware of changes in our mood, energy levels, thirst, appetite, bowel habits etc. Imagine all of this being out of our own control... being aware that your appetite is suppressed or that your head aches but relying on someone else to notice... this is the plight of the pet cat! Being a conscientious cat owner can make all the difference. Most cat owners are very dedicated but still think of a trip to the vet in an old-fashioned, black and white kind of way... either they need to see a vet because their cat is injured/unwell or because their annual booster or wormer is due. I am desperately keen for owners to approach their cat's general health and well-being in the same way they do preventing infectious diseases and parasites. The vast majority of cat diseases do not develop overnight but have been brewing for weeks/months or in some sad cases, even years. If you are busy enough or try hard enough you can convince yourself that that subtle change or "gut feeling" that something is not quite right with your cat is "probably nothing to worry about". Even with over fifteen years of training and feline experience it can be quite tricky at times to decide whether something is significant or not. Wellness check-ups take the guess work out of caring for a cat and leave you feeling reassured that you have done all that you can. Sometimes really simple parts of a checkup such as trends in your cat's body weight can give me clues as to whether any tests or treatments might be useful. Even just allaying any fears by a simple, "that is completely normal" can be very reassuring. "The superior doctor prevents sickness. The inferior doctor treats actual sickness"
Which LIFE STAGE is your cat in now? "My owners love me very much but sadly they assumed that my tendency to sleep more and meow at them was "just old age". In actual fact I had been silently living with high blood pressure for over a year. One Sunday morning it got so bad that I had a stroke and went blind. I was so scared that I hid myself away under the bed. Luckily they found me hiding there and contacted Jo. I am now on a tiny tablet once a day and my blood pressure is back to normal. My vision has been saved and my banging headaches have miraculously disappeared. I look and feel so much better and have a new lease of life and hope to make it to my 17th birthday next month".